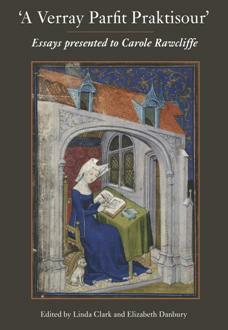 For almost four decades Carole Rawcliffe has been a towering figure among historians of the later Middle Ages. Although now best known for her pioneering contributions to medical history, including major studies of hospitals, leprosy and public health, her published works range far more broadly to encompass among other subjects the English nobility, Members of Parliament, the regional history of East Anglia and myriad aspects of political and social interaction. The essays collected in this festschrift, written by a selection of her colleagues, friends and former students, cover a wide spectrum of themes and introduce such diverse characters as an estranged queen, a bankrupt aristocrat, a female apothecary, a flute-playing Turkish doctor and a medieval 'Dad's Army' conscripted to defend England's coasts. Linda Clark is Editor of the 1422-1504 section of the History of Parliament; Elizabeth Danbury is an Honorary Senior Research Fellow at the Institute of English Studies, School of Advanced Study, University of London, and Honorary Research Fellow at the Department of Information Studies, University College London. Carole Samaha. Hdoudy El Sama 2010.